Pradera in Parker Colorado is one of the most beautiful luxury home communities in all of the Denver Metro Area. Many of the homes are Colorado mountain architecture with stone and stucco exterior, often referred to as Beaver Creek style. Of course, there are many contemporary and traditional styles, as well. The lots are very large and heavily landscaped. Open space is found throughout the Pradera neighborhood with all kinds of wildlife, including deer, foxes, squirrels, rabbits and birds such as hawks and owls. Many of the homes sit on lots that provide magnificent views of the Pradera Golf course and eastern side of Parker and Franktown. Even those homes without views usually will have very aesthetic settings. Where is Pradera? Is there a map of Pradera? Pradera is located about 7 miles south of downtown Parker Colorado. Commute time to the Denver Tech Center is about 30 minute. It's another 20 minutes to downtown Denver. DIA is about 45 minutes. Who were and are the home builders in Pradera? Celebrity Homes is the developer and main home builder in Pradera. Most of the best custom home builders in the Denver market have built or are building in Pradera. 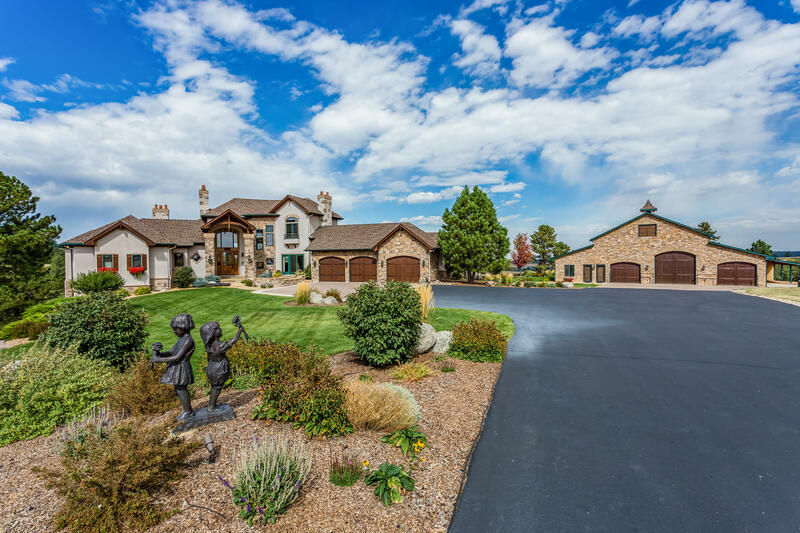 There are few Colorado communities that could boast the quality of the homes and the builders that built them. What are the ages of most of the homes in Pradera? There is not really an average age of the homes. The Timbers began in 2005 with the annual home builders Parade of Homes. Homes have been built consistently since 2005 and continue to be built today. What are the sizes of the homes in Pradera? The homes in Pradera are grouped into three levels. At the front are awesome tract homes built by DR Horton. Just up the hill are semi-custom homes. And, the remaining are custom homes. When you include the basement square feet (most are finished), homes range from about 5000 square feet to 9000 square feet, with most homes in the 6000 to 8000 square feet range. How much do homes cost in Pradera? There have been a few that have sold in the $500,000's, but most are priced from about $600,000 to $1,500,000. And, there are some that are over $2,000,000. To get a current report on Actives, Under Contracts and Solds, check out our Pradera Market Report. Click here to go to the report. Are there any country clubs near Pradera? Yes. There are three great country clubs The Pinery Country Club is adjacent to Pradera and offers a 27 hole golf course and some of the best tennis facilities in the state. The Colorado Golf Club is about a mile away and ranks as one of the premier golf courses and clubs in the nation. And, in the heart of Pradera is the Club at Pradera with a magnificent links style course and beautiful club house. What about public golf courses near Pradera? What about the schools that serve Pradera? Pradera is located in the acclaimed Douglas County School District, which is one of the top school districts in the nation. All of the schools are very near Pradera, making it very easy on the parents. The first elementary school is Mountain View Elementary. From there, the kids go to Northeast Elementary. The middle School (Junior High) is Sagewood Middle School. And the high school is Ponderosa High School. Additionally, there are several wonderful private schools within commuting distance, including Ave Maria Catholic School, Lutheran High School, Southeast Christian School and Regis Jesuit High School. What and where are the nearest hospitals to Pradera? There are three major hospitals within easy commute of Pradera. Castle Rock Adventist Hospital is located about 15 to 20 minutes away in the Meadows in Castle Rock. Sky Ridge Medical Center is located about 30 minutes way in Lone Tree. And, the closest hospital is Parker Adventist Hospital, about 15 minutes away in Parker. All three hospitals are relatively new and considered among the best in the Denver Metro area.